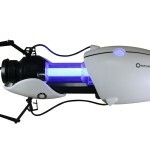 NECA has posted an update about the availability of their Aperture Science Handheld Portal Gun Replica. 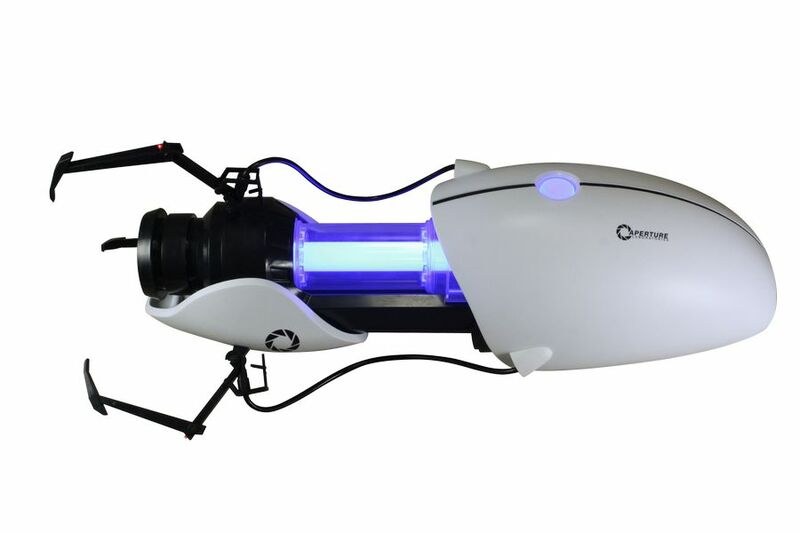 There has been much confusion around the details and release of our highly anticipated Aperture Science Handheld Portal Device (ASHPD). We wanted to clarify a few things and put your minds at ease. First and foremost this item is not cancelled, it is very much on schedule, looking great and it will ship on time. Last week it came to our attention that many retailers were pre-selling the ASHPD without knowing the final pricing, availability, and if they would even have inventory on this item. 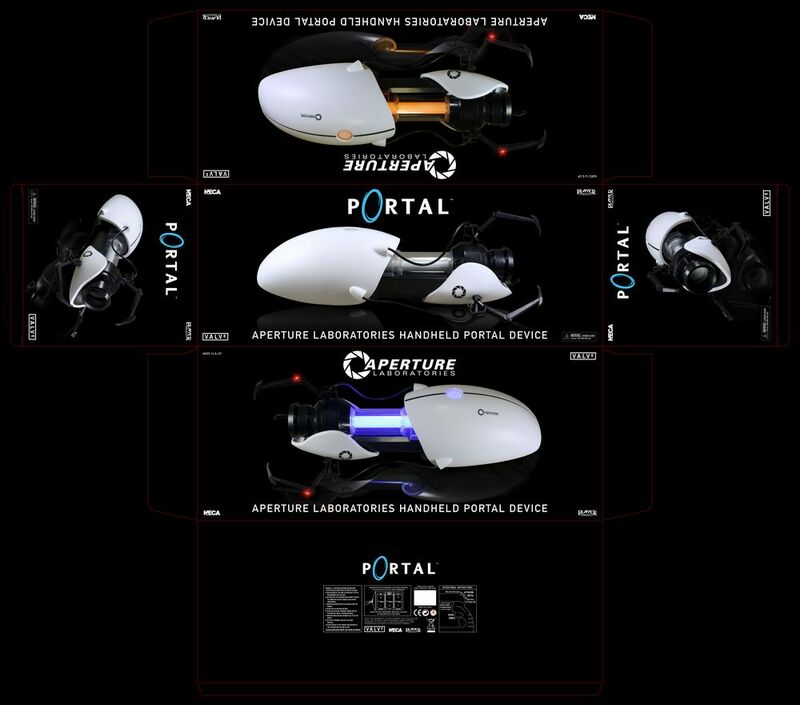 In some instances certain retailers that are not current NECA customers were pre-selling the ASPHD on eBay. We decided to remove our initial listing and story on our official website so that we could take the time to negotiate with a select group of reputable retailers that we will work with to pre-sell and retail this item at a fair price and in an organized fashion so that most importantly you, the customer, has the best possible chance to obtain this highly desirable collectible. We anticipate shipping the ASHPD in early May and in the coming weeks we will list approved retailers on our website and facebook so you will know where and who you can purchase from without worry. In the meantime please enjoy this first look at the packaging design. 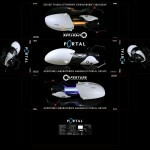 Read on for a look at the packaging for the Portal Gun Replica. Hmmm. I preordered this last week at BBTS for $124. Oh looks like those preorders are already sold out. I hope they were legit. If they don't honor them, I'm going to be pretty sad. Sounds like it's going to be very hard to get.